band.it™, is a novel accessory for photo camera lenses that took the photography market by storm in 2015. After extensive research and evaluation, RDM developed and patented a universal solution that fits on any camera lens enhancing control and providing added protection to their expensive equipment. By leveraging our design expertise and in-house production capabilities, we developed a custom silicone injection molding process that saved over $100,000 in tooling costs. 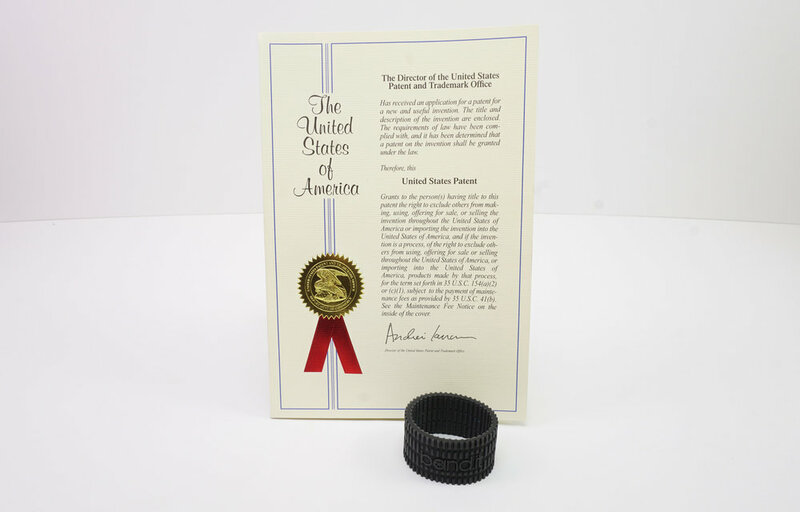 We used our product, manufacturing, fulfillment, and marketing solutions to commercialize band.it™ in record time. For more information on this product, please visit our website at www.camerabandit.com. band.it™ provides a silicone grip that resolves an age-old problem known as lens creep while enhancing a photographers’ control over the camera lens adjustments. With over 500 camera lens variants, our engineers developed over 50 prototypes to create a universal solution that would work on any lens. The silicone grip protects a photographers investment, enhances their control over the zoom and focus functions, and prevents an age-old problem known as lens creep. With domestic and international interest growing, a complete packaging solution was developed for both online and retail stores. With R&D finished and a complete manufacturing process in operation, band.it’s business model won two business plan competitions in the state of Florida.